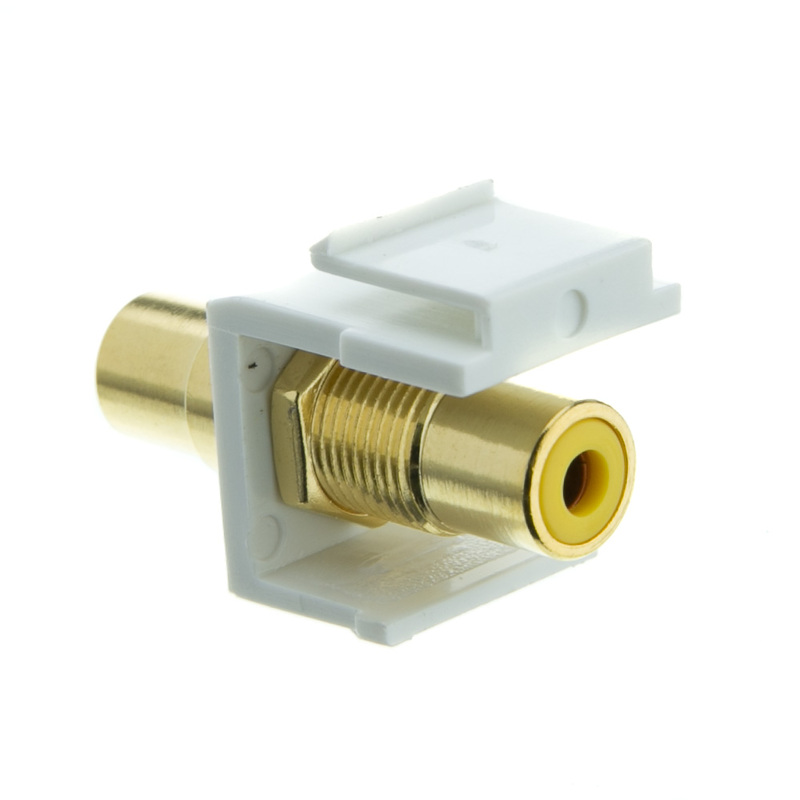 This White Keystone Jack with Yellow RCA Coupler is for use with audio video, and home theater applications. 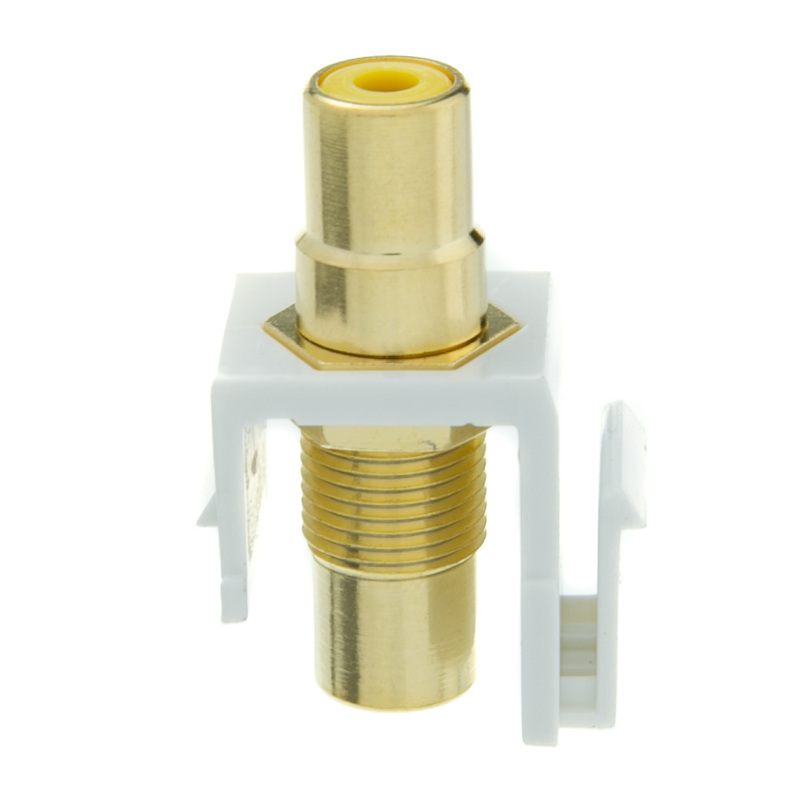 It is designed for use with all Keystone style wall plates and standard RCA cables. 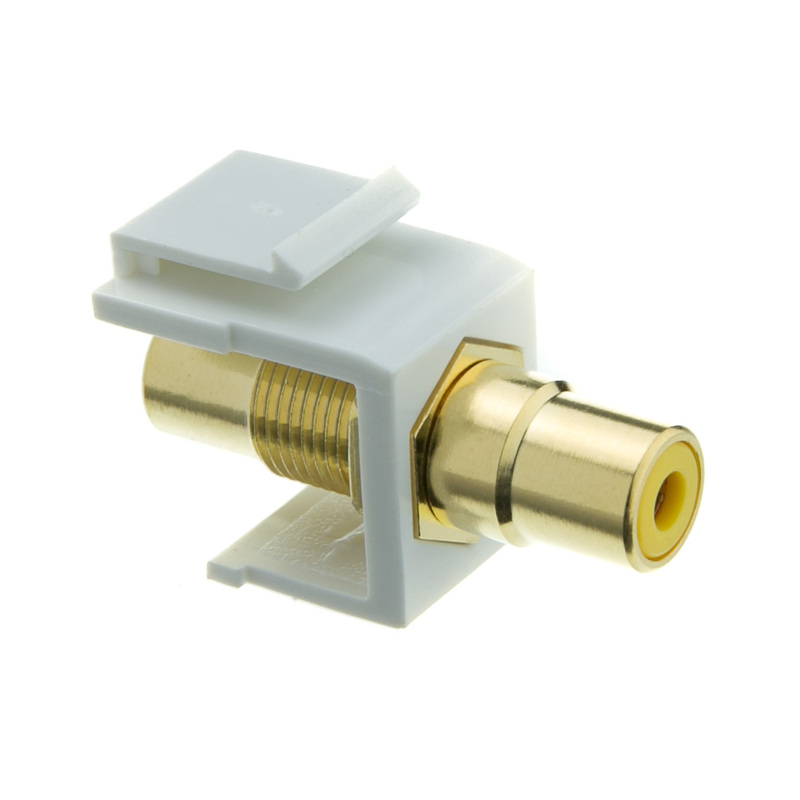 Attach any RCA-connector equipment or cables with ease and simplicity. Yellow is usually used for component video.